D.C. Cat Count includes hidden cameras to take photos of free roaming cats. The New York Times reported today that the Humane Society of the United States, PetSmart Charities and the Smithsonian Conservation Biology Institute is launching a $1.5 million, three-year plan to count all the stray, feral and pet cats living in Washington D.C.
Every year, ANIMALS 24-7 conducts a national dog-breed survey. The results of the 2018 survey were just released. As interesting as the data collected by the survey are, I was particularly struck by a rather provocative proposition posed by Merritt Clifton, the editor/reporter of ANIMALS 24-7 and this survey. 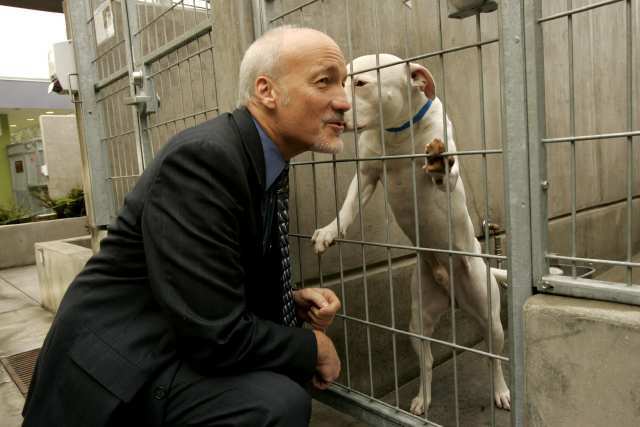 The three categories of animals dying in the largest numbers in most shelters throughout the United States are feral cats, pit bulls/pit bull mixes, and Chihuahuas. Over the course of my career I may have been responsible for safely placing more pit bulls into loving homes than any other person in the United States. I have long been troubled by the fact that no dog in history encounters more misunderstanding and vilification than the pit bull; a canine category I define as the American pit bull terrier, the American Staffordshire terrier, the Staffordshire bull terrier, and any crosses of these three. I admire these animals for their tenacious athletic ability, loyalty, intelligence, and high-energy. 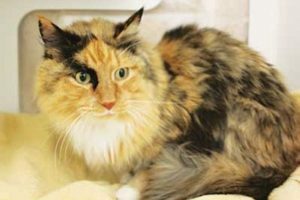 The Yavapai Humane Society (YHS) does not accept feral cats. Taking unadoptable feral cats into an animal shelter is a death sentence and is contrary to the YHS no-kill ethic. 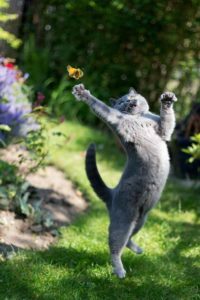 Rather than employing the “catch and kill” methodology used by many shelters, YHS champions trap/neuter/return (TNR) as the only viable and humane method for effectively reducing feral cat populations. The Arizona state legislature recently came out in strong agreement with YHS on TNR. Arizona’s governing body overwhelmingly passed SB1260. 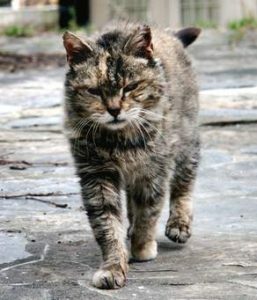 The new law encourages animal control to return healthy “stray” cats to the vicinity where they were captured after being sterilized; the very definition of TNR. Coincidentally, perhaps the strongest scientific support for Arizona’s robust endorsement of TNR comes from a 13-month study conducted by the Tasmanian Department of Primary Industries in Hobart, Australia. The study, entitled “Effects of low-level culling of feral cats in open populations” appeared in a recent edition of the journal Wildlife Research, 2015. The findings, trumpeted by the Australian Broadcasting Corporation, Discovery Science, and other media, directly contradict the Australian government, and its environment minister Greg Hunt, who has called for the “effective” eradication of all feral cats by 2023. Biologist Billie Lazenby, who led the study, says she expected to validate the use of lethal culling (catch and kill) promoted by the Australian government but instead found, to her dismay, that culling markedly increases the numbers of feral cats in an area. “Contrary to our prior expectations,” reported Lazenby, the “number of feral cats rose 75 percent at one test site and 211 percent at the other.” Of particular interest, “Cat numbers fell, and were comparable with those in the pre-culling period, when culling ceased.” Suggesting feral cats fill a stable self-regulated ecological niche. The researchers ultimately concluded the surprising population explosion was the result of “influxes of new [adult] individuals after dominant resident cats were removed.” A phenomenon YHS refers to as the “vacuum effect.” When cats are removed but natural conditions (such as food sources) remain the deterrents of existing territorial cats vanish and neighboring cats quickly invade and overpopulate the newly open territory. “What we should focus on when managing feral cats is reducing their impact; and you don’t reduce impact by reducing numbers.” In fact, a growing number of studies conclusively prove lethal culling induces a biological imperative that causes feral cats to overbreed and overproduce to survive. Counter-intuitively, lethal culling directly exacerbates feral cat problems. Gratefully Arizona has a legislature who understands the science and through SB1260 is directing county and municipal animal control agencies to recognize TNR as the only viable, humane solution to our communities’ vexing feral cat problems. Arizona is leading the nation through this ground breaking legislation. How wonderful would it be if Yavapai County and local municipalities took the lead by building an effective and humane trap/neuter/return program on this historic foundation? The YHS Spay/Neuter Clinic staff are ready to serve you and your pets! 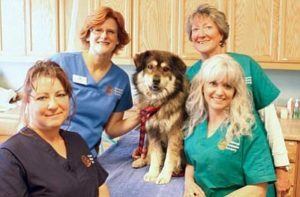 The Yavapai Humane Society (YHS) Spay/Neuter & Wellness Clinic in Prescott, will celebrate its fourth anniversary on Sept. 17 – and this facility has given our entire community tremendous cause to celebrate. During the decades before opening this clinic, our community rounded up nearly 6,000 lost and homeless animals annually – and then struggled to “re-home” them. We were often forced to euthanize nearly half just to make space for the constant flow of incoming animals. In less than three years, the number of lost and homeless animals rescued annually in our community declined 45 percent (from 5,887 to 3,254), and the number of animals euthanized each year plummeted 92 percent, from 1,602 to 133. The importance of the YHS Spay/Neuter Clinic may be better understood by drawing on the following analogy. Imagine a large broken water pipe flooding your basement. It would be silly to run down into the basement to start mopping up the mess without first turning off the water. However, that was precisely what our community did for decades prior to September 2009. From the day the YHS Spay/Neuter Clinic opened its doors, it has been turning the water off and helping establish our community among the safest in the nation for pets. The quality care provided by the YHS Spay/Neuter Clinic is second to none and was nationally recognized with the prestigious Humane Alliance Certification in February. In celebration of its fourth anniversary, the YHS Spay/Neuter Clinic is making a commitment through its Big Fix program to deny no pet spay/neuter services just because the pet’s guardian can’t afford it. The YHS Big Fix program provides free and low-cost spay/neuter services to pets belonging to owners who meet certain income criteria. In addition, pets belonging to active-duty military and all military veterans pre-qualify for free spay/neuter services. This is an enormous commitment, and YHS will need your help to keep it. The good news is we are not alone. Petsmart Charities recently committed to help YHS by granting YHS enough funds to offset the cost of 1,200 spay/neuter surgeries. 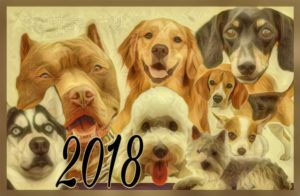 The grant is restricted to dogs residing in Prescott Valley, Dewey/Humboldt and Mayer, and dog owners must meet certain income eligibility criteria. 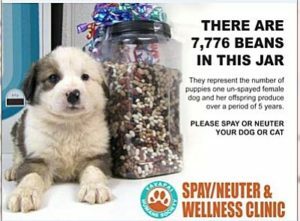 Call the YHS Spay/Neuter & Wellness Clinic to see if you qualify. If this program proves successful, Petsmart Charities may include cats in future grants. What about all the pets residing in the many other regions of our community, including the City of Prescott? To meet this need, YHS is partnering with another foundation that wishes to remain anonymous. This foundation is challenging our community to match a $15,000 gift to the YHS Big Fix spay/neuter program. This challenge gift means your tax-deductible donation will be twice as effective in helping YHS turn the supply of unwanted pets off once and for all. If we can meet this challenge, YHS will have $30,000 to help our community’s most at-risk pets’ access this life-saving service. YHS envisions the day when every pet born has a good home and is well cared for all its life. When you make a donation of any size to the YHS Big Fix program during this challenge, you can double your impact in making this future vision our reality today. Big Fix donations can be made online or by mail. Our motto at the Yavapai Humane Society is “Every Animal Counts.” We work hard to live up to that because we know that lost, homeless, abused and neglected animals count on YHS to intervene and reverse their plight. Unfortunately, we can’t save them all – at least not without broad community support. Too often, and for too many animals, our limited resources become exhausted and we are forced to make the difficult decision to take the life of an animal before their time. The good news is that euthanasia at YHS is down drastically! Following a recent change in YHS leadership and policy, the killing was reduced 42.23 percent when compared to the same period last year. Remarkably, this was accomplished despite a 3 percent increase in the number of animals taken in during this same period. Some believe that killing shelter animals is the unavoidable by-product of providing efficient municipal services to residents. But these pragmatists might consider a state of Minnesota Legislative report, which found that for each dollar invested in spay/neuter programs, $20 in animal control costs could be saved over 10 years. 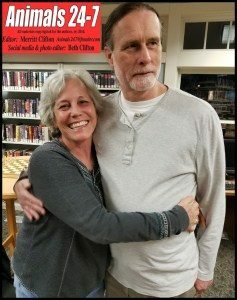 People who excuse euthanasia in shelters often say we have to be “realistic,” but such realism is best directed at the sources of the problem. 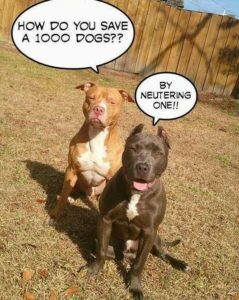 Effective spay/neuter programs to assist pet owners who are poor, elderly on a fixed income, or living in remote or underserved areas is a far better use of public and private funding than catching and killing lost and homeless pets. YHS is engaged in a quest to achieve “no-kill.” No-kill is defined as consistently applying the same criteria a loving pet owner or compassionate veterinarian would use to determine if or when to euthanize a shelter animal. That is, no healthy or treatable animal would be killed simply because of a lack of shelter space or resources. To help orchestrate a more strategic no-kill effort, YHS is announcing a community-wide spay/neuter initiative called “The Big Fix.” The Big Fix is a program that will provide low- or no-cost spay/neuter services for pets of needy families as well as pets adopted from YHS shelters. The Big Fix will be funded by donations and grants – and it desperately needs your help to get started. While the reduced killing over the past two months represents a good start in the right direction, we have a long way to go. Your check or online donation to YHS, with an annotation for “The Big Fix,” will help fix the problem of pet overpopulation so we can more quickly achieve No-Kill! So where is YHS in achieving this goal today? The industry standard for calculating a community’s progress toward no-kill is determined by the number of pet deaths in local shelters annually per 1,000 human residents. 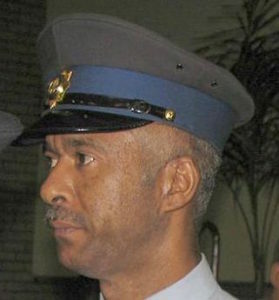 The national kill rate in 2009 was 13.5. This is based on an estimated human population of 300,079,939 and 4,157,918 recorded animal deaths. In the Southwest (Arizona, Colorado, Nevada, New Mexico and Utah), the kill rate was 15.2, based on an estimated human population of 19,048,000 and 289,530 recorded animal deaths. Our quad-city region has an estimated human population of 110,000. With 1,892 shelter deaths in 2009, our kill rate was a staggering and unacceptable 17.25. For years, the animal welfare community thought no-kill would be achieved when killing was reduced to 5 deaths per 1,000 residents, recognizing there will always be terminally ill and injured animals and dangerously aggressive dogs that require humane euthanasia. However, in recent years, New York City and Los Angeles reduced their kill rates to 2 and 3.7, respectively, demonstrating we really don’t know how far we can go in this life-saving quest. And if you think things work differently in small towns or rural communities, consider the fact that Reno, Nevada, has reduced their kill rate to 5.4. As a community, we can choose to pay the relatively modest cost to fund targeted spay/neuter programs designed to fix the problem on the front end, or we can continue to pay the ever-increasing costs of catching and killing animals on the back end. We prefer the more proactive front-end approach, and we hope you will agree by sending in a donation today for “The Big Fix,” so we can help low-income pet owners spay and neuter their pets. For more information contact me.